You must be a member of the Caracas Theatre and Movies Group to attend this activity. Would you like to join this group? Here's an event especially for those of us who have children - or are children at heart! Bring your children, your friends' children....or just bring yourself! 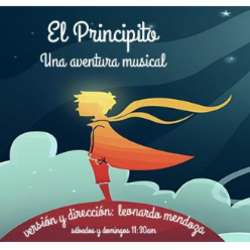 A musical adventure based on the story by Antoine de Saint Exupery. Join us!